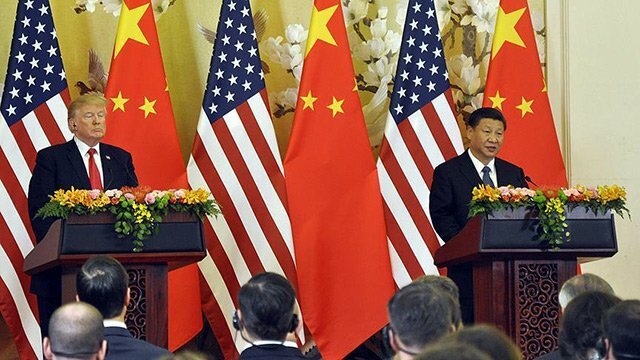 US president on Saturday agreed to not raise the tariff rate on goods imported from China, the White House announced. According to a statement issued by the White House, President Donald Trump and Chinese President Xi Jinping held a "highly successful meeting" during the sidelines of the G20 summit in the Argentinian capital. "On Trade, President Trump has agreed that on January 1, 2019, he will leave the tariffs on $200 billion worth of product at the 10% rate, and not raise it to 25% at this time," the statement said. Ahead of the G20 summit, Trump placed added jitters on already strained relations between the world's two biggest economies by threatening China with extended tariffs on Chinese goods if no agreement was reached. "China will agree to purchase a not yet agreed upon, but very substantial, amount of agricultural, energy, industrial, and other product from the United States to reduce the trade imbalance between our two countries," it reads. The statement said that China agreed to start purchasing agricultural products from US farmers "immediately". The both leaders also agreed to start negotiations on structural changes "with respect to forced technology transfer, intellectual property protection, non-tariff barriers, cyber intrusions and cyber theft, services and agriculture". The statement said that the countries agreed to implement this transaction within the next 90 days. “If at the end of this period of time, the parties are unable to reach an agreement, the 10% tariffs will be raised to 25%," it added. The leaders also agreed on penalties for Chinese companies selling powerful synthetic painkillers to the US. "Very importantly, President Xi, in a wonderful humanitarian gesture, has agreed to designate Fentanyl as a Controlled Substance, meaning that people selling Fentanyl to the United States will be subject to China’s maximum penalty under the law," it said. Furanylfentanyl is an analog of fentanyl which is described by the U.S. National Institute on Drug Abuse as a strong synthetic opioid analgesic, similar to morphine but 50 to 100 times more potent. It is used to treat patients with severe pain or post-surgical conditions but is also open to abuse. The statement added that Trump and Xi also agreed "that great progress has been made with respect to North Korea" for a nuclear free Korean Peninsula.